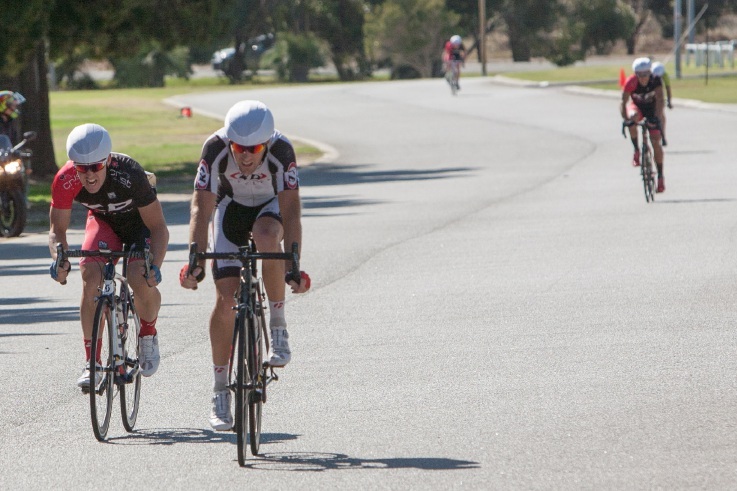 Experienced riders from Peel District Cycling Club were victorious on the weekend. During the criterium season there have been experiments with handicapping the juniors, but it has not stopped the talented riders from claiming victory. This week was no different, with the last trio to start – Tommy Ryan (first), Dakota Sime (second) and Madison Mcauliffe (third) – claiming the top three places. Ryan then raced in E-Grade, but it was Anita Watters riding away for the win, with Ashton Sime second and Ryan third. A strong easterly headwind on the back straight made breakaways difficult, but D-Grade still saw a number of attacks. However, none were successful. The stop-start nature of the racing saw the bunch shed a few riders and there were only six in the reduced bunch sprint, with Matthew Colum first, Mitchell Crook second and Clint Hort third. C-Grade followed a similar pattern with a large number of attacks. Twice, three-rider breakaways were formed, but they never lasted and it took a bunch sprint finish to determine places, with Richard Ramos first, Chaice Kelly-Wilson second and Tim Watson third. B-Grade featured more riders and saw even more aggressive racing, with riders constantly getting off the front of the bunch, only to be brought back a lap or two later. In a close bunch sprint, it was Michael Polmear first, Dominic Da Silva second and Kurt Harmer third. About 20 minutes into the 60-minute A-Grade race, a breakaway of five strong riders formed, working well together to build a solid lead. Some 20 minutes of racing later, the chasing bunch realised they were not going to catch the five and dropped back into survival mode to avoid being lapped. The breakaway stayed together until the bell and then exploded on the last lap, with Ryan Willmot winning the race to the line from Matthew Peterson, with Luke Banham third. Meanwhile, in Gidgegannup, the younger Peel riders were successful in the Midland 100, with Conor Leahy third in the State Under-19 Road Championship. Tyler Lindorff finished first and Jordan Dawson second in the under-17 men’s and C-Grade combined race. Finally, Dharlia Haines continued Peel’s winning streak, securing the women’s C-Grade race. Next Sunday is the Timekeepers Time Trial before racing switches to Saturday afternoon, with the road racing season commencing at Casuarina on April 30. 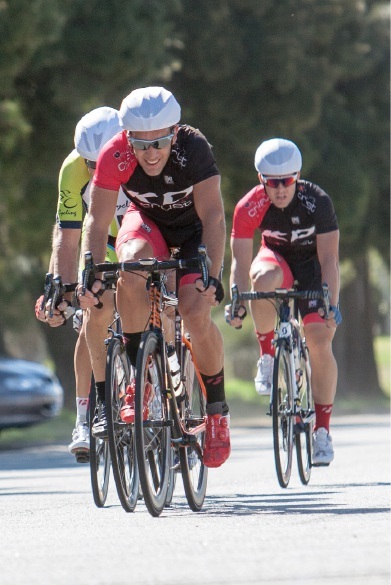 For more results, or information about upcoming races, visit pdcc.asn.au.